Right after I graduated, I taught elementary school in Micronesia for a year. Remembering all the good times I've had was a good reminder of how much I enjoy working with kids, and how fulfilling that can be. God why did I give this up. This means so much more to me than pouring drinks to girls in bars. It really made reconsider what I've been doing with my life for the past year. It was a life shaping experience for me. Right now, the lines have been drawn and it’s former Tandang versus everyone else, but last night at Tribal Council, they made a mockery of Skupin and I feel like he’s been mistreated and they mistreated Lisa, so we are trying to get Skupin and Lisa in with us, because they are gonna play the biggest role in which alliance moves on and which starts getting picked off. Abi is just a loose cannon, she just thinks she knows so much about the game, and so much about people in general. I don't know who told her that, but she needs to shut up, before she screws everything all up. Tandang had one of the most powerful tribes put together in survivor history. I totally understand that in any moment in this game I can be blindsided just like anybody else. 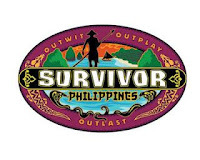 Right now, I've got my alliance with Malcolm and the former Kalabaw tribe, Carter and Jonathan. And The goal tonight is to get rid of one of the original Tandang members. Break that little empire up and then really continue to just turn this game. The plan very much hinges on Skupin and Lisa. If we can’t get the numbers, Jonathan is going home.